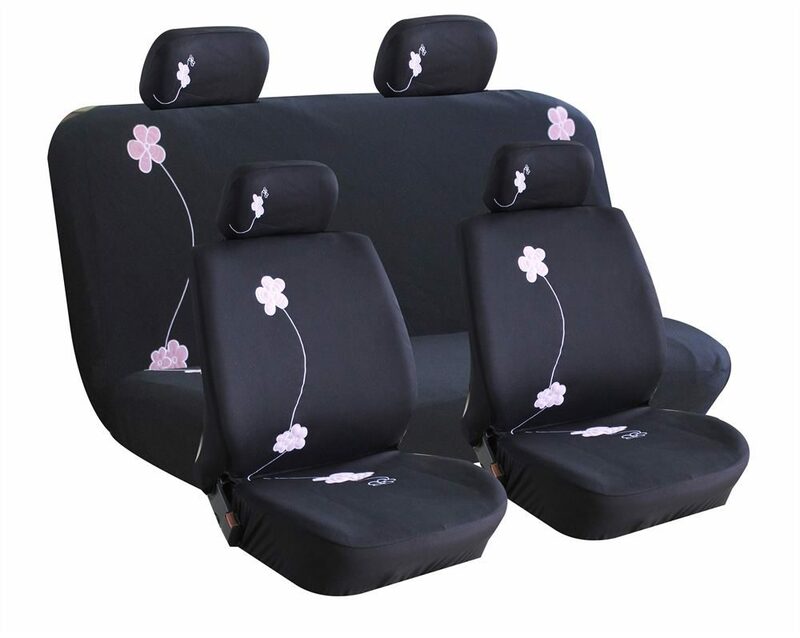 Bloom print lo-back car seat cover set with 4 headrest covers in Black. With foam padding for extra comfort. 2 front seat covers and 2-piece rear seat covers. Compatible with seat side airbag.